the bodies of his devotees. “The Fudo Sutra,” compiled by Frederic Lecut (2010). 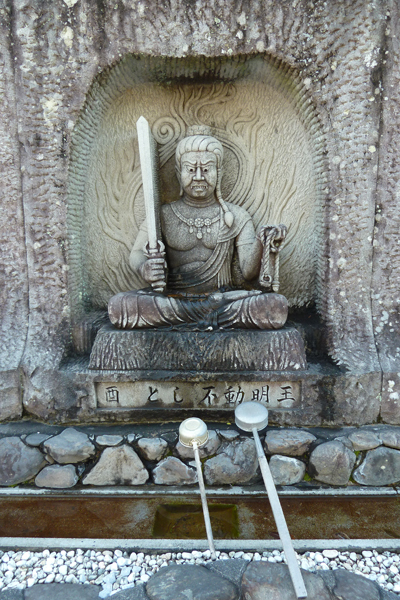 Shingon Buddhist Institute / http://www.shingon.org/deities/jusanbutsu/fudo.html Accessed 23 August 2012. Photo by Dharma Fool, February 2012. This entry was posted in Wisdom deities and tagged Ayra Acalanatha, Fudo Myoo, ignorance, Shingon Buddhism by Dharma fool. Bookmark the permalink.